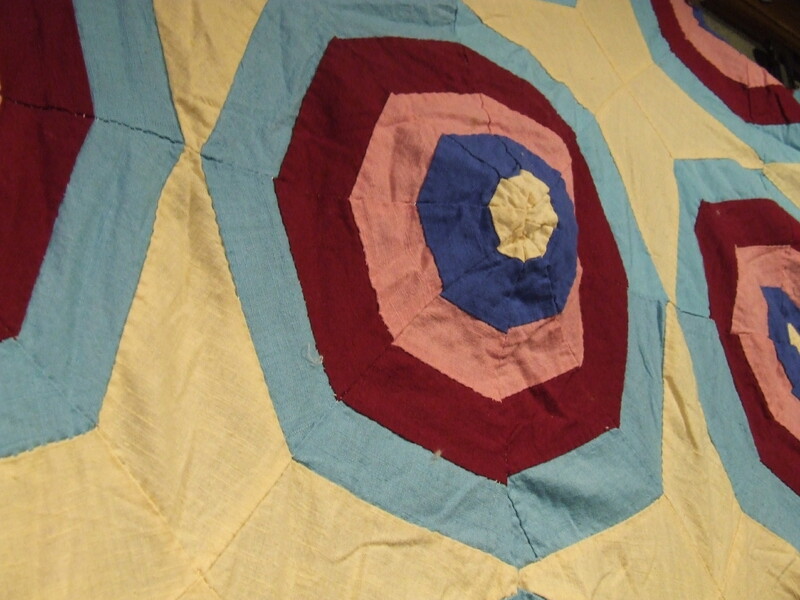 I got it from eBay, the seller is from Georgia so I assume that the quilt top was made in that general area. I can not tell when this was made. Solid fabrics are difficult to date, and the fact that it has been washed adds to the difficulty, I can sometimes get a feel for date by the feel of the fabric (although I have a hard time convincing anyone of that) but once it is washed the feel is gone. This is such a cool quilt top with such a bold look but unfortunately some idiot washed it! 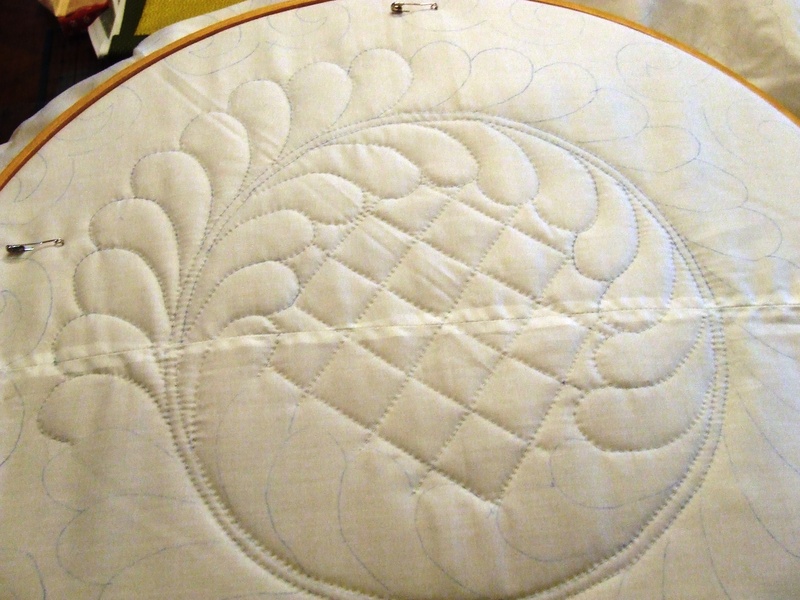 when an un-quilted top is washed all the seam allowances fray and the seams open up and it becomes difficult to repair the seams because the meat of the pieces is all frayed away….there is no seam allowance left to sew back together so you need to sew into the remaining fabric and that causes puckers and bunches. 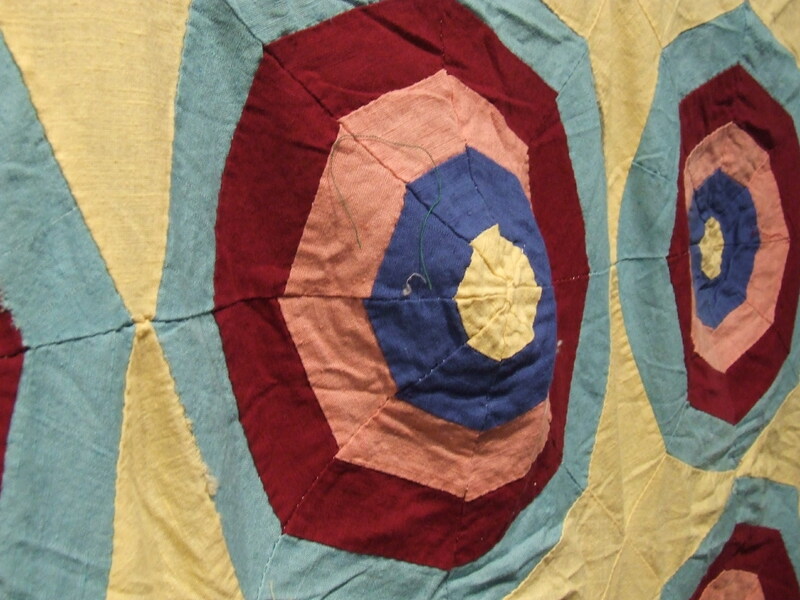 I never wash a vintage or antique quilt top….I wash them after I have them quilted because the quilting holds them together, adding the strength of the new backing and keeping the seams from fraying. 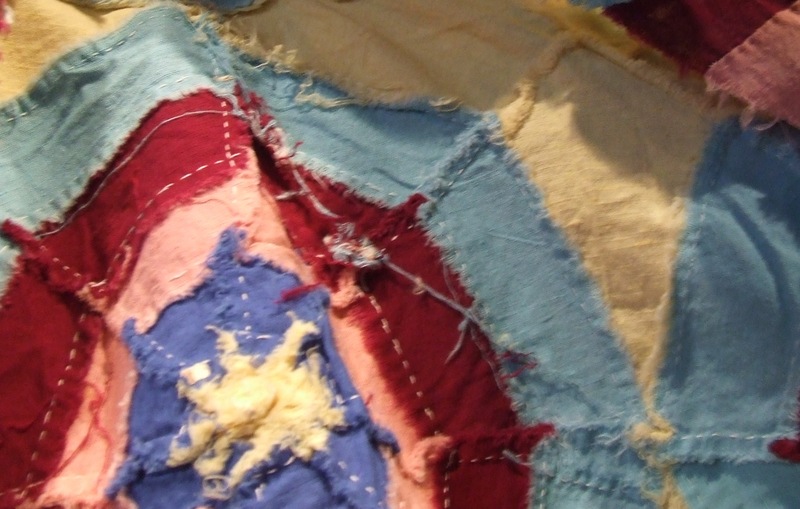 Having said that I think I can fix it suitably to get it quilted. 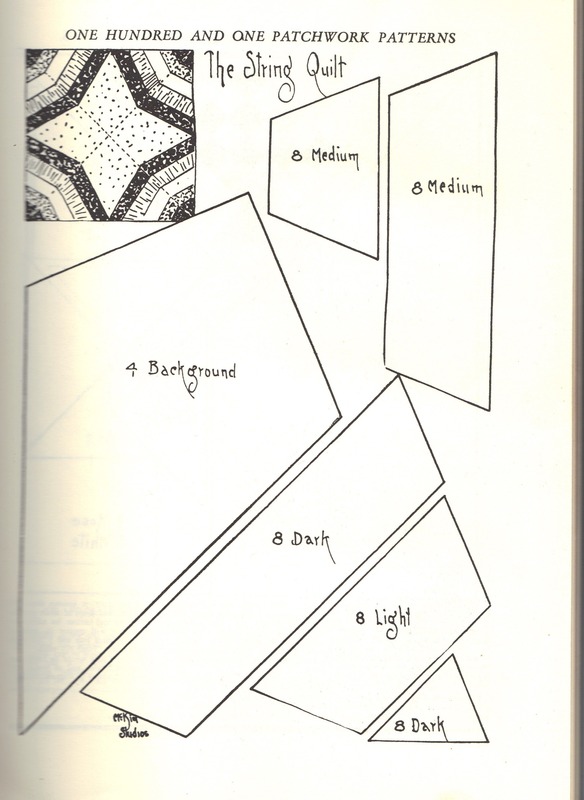 One thing about this one is that it is far from flat. 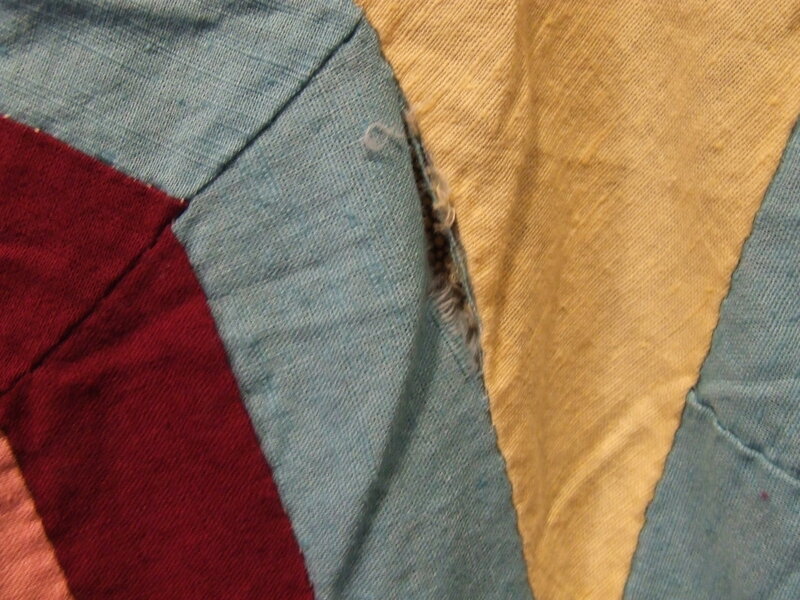 some of the blocks bulge in rather unattractive ways. 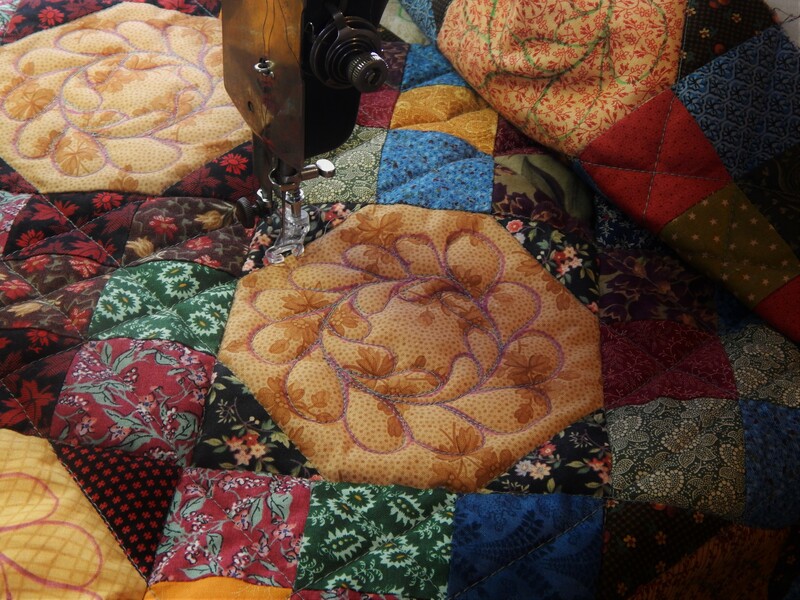 This entry was posted in Quilts and tagged Quilting, Quilts, String Quilt, vintage quilt top. Have fun with that one! I,too, have some old ones that people washed and I have yet to work on them because they are such a mess. Some day…. it is maddening when they wash them! Good luck on fixing this one up. 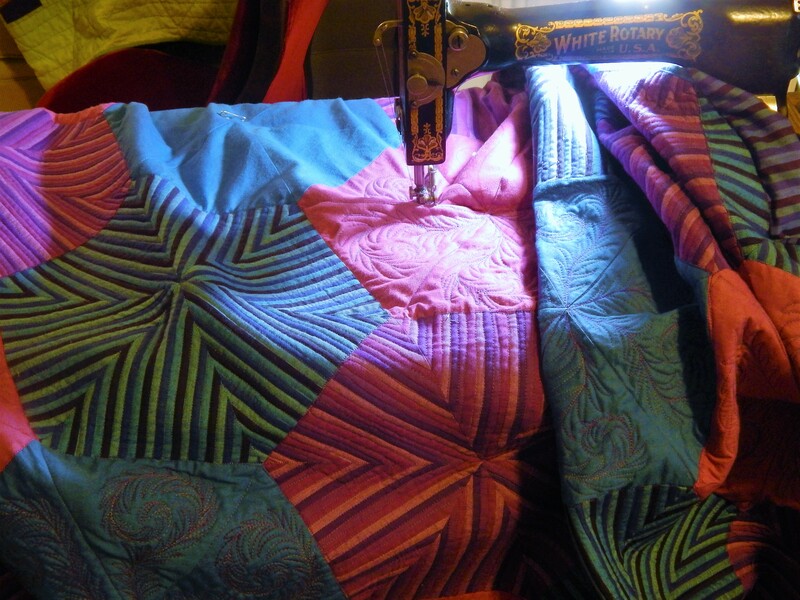 It is a fantastic design with great colors, and once you’ve given it some wonderful quilting…..it will be another stunner! Looks like a “B” cup to me! LOL! LOL I am not sure about cup sizes but this sure looks like it needs a bra! And I thought you were thinking a tassel might be appropriate for some of these….perhaps better to imagine cup sizes. 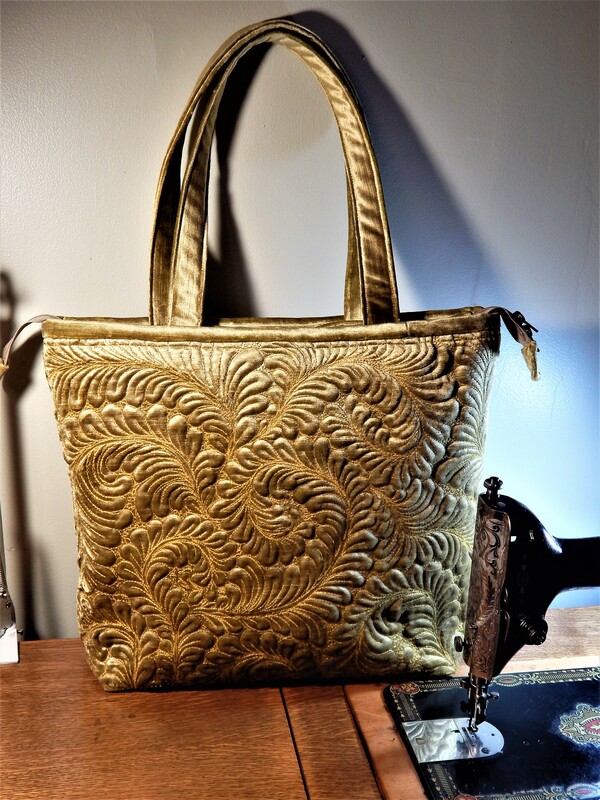 It is striking and good luck with repair …. It might end up being a total remake…I wont know until I get going on it….sometimes after I get them pressed and all the strings trimmed off I can get away with just some selective mending….sometimes I have to take it all apart…time will tell….but the “lady bumps” have to go they can’t be stuffed like trapunto! I’m very curious to see how you will quilt out the lady bumps! 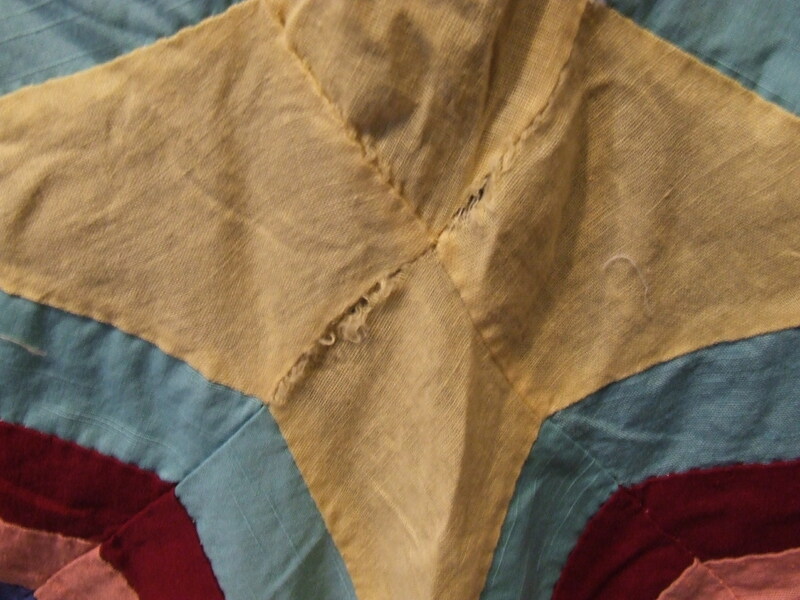 Recently I received a washed antique string quilt from a customer… Yes it looks about like the one you posted. Did you finish restoring it. I would love to know how you accomplished it. I have not done anything with it yet…..It is going to be a lot of work!…My guess is that I will need to take it all apart and totally re make the entire thing….hopefully yours will not be as big a job!